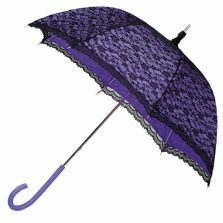 Purple Umbrellas here in Purple Umbrella Heaven - quality, service, style! 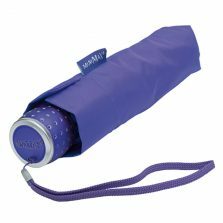 Looking for a purple umbrella? 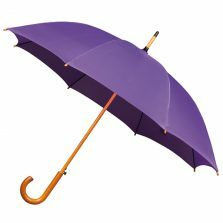 Is purple your favourite colour? 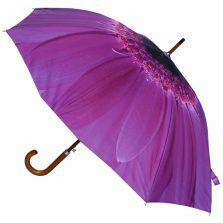 Take a look at our selection of purple umbrellas for ladies and men. 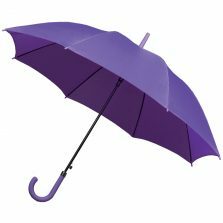 Did you know purple is the royal colour? 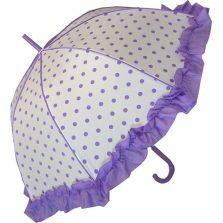 There's something outrageously luxuriant about a purple umbrella, don't you think? 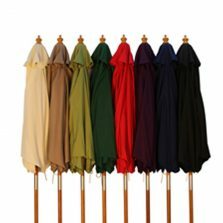 "No, I just like the colour", I hear you say. Fair enough. 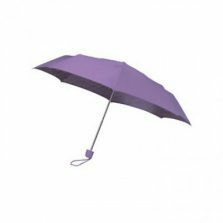 So, just take a look at our selection of purple umbrellas. You'll find different shades of purple. Some are for ladies, some are for gents. Straight handles or crook handles, manual or automatic, we're sure to have one that you like. 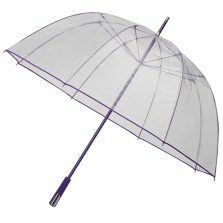 You're looking for a purple umbrella but what do you actually know about the colour purple? 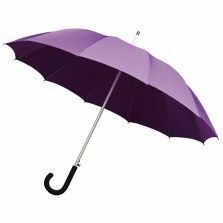 Did you know that purple is a composite colour made by combining blue and red? And that violet is different. 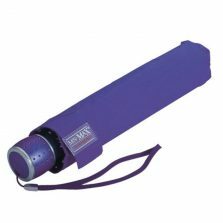 Violet is a spectral colour on the spectrum of visible light, with it's own specific wavelength. 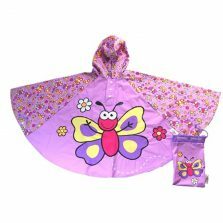 Did you know purple is often most associated with royalty, magic and mystery? 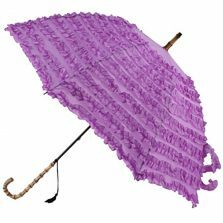 When mixed as a more pinkish shade of purple, it's associated with eroticism, femininity and seduction. Well, at least that's what Wikipedia says! You knew all that? Alright, fair enough. 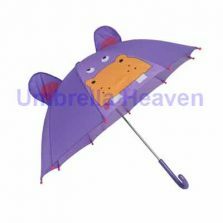 So, anyway just browse our purple umbrellas. 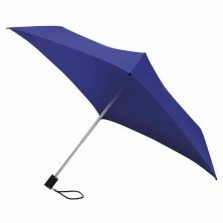 You'll find small folding compacts and large golf size umbrellas. 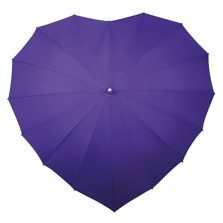 But you'll also find some interesting new shapes, such as our Purple Heart Umbrella or the Purple Square Umbrella. And finally a message to all you kings, queens, princes, princesses and emperors out there. 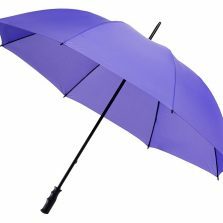 Stop buying all our purple umbrellas. 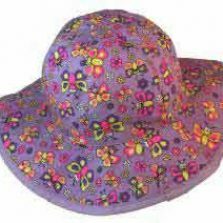 We know purple is a royal colour. 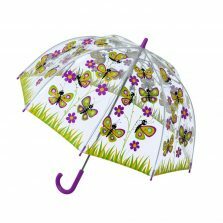 But please leave some for us commoners - we like purple too. Oh, and finally finally Prince Rogers Nelson, if you're sitting up there on your cloud looking down. 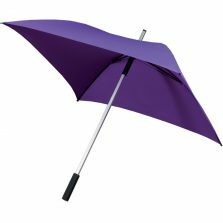 You can pick one of our purple umbrellas for your purple rain - it's on the house. We love you.